For this price, you’ve got to be impressed. An attractive looking product without a hint of cheapness and the results are really good. If you need to straighten your hair from scratch, you might be looking at half an hour of straightening time but the variable temperature means that you can turn the heat down for a touch up or if you have sensitive hair. 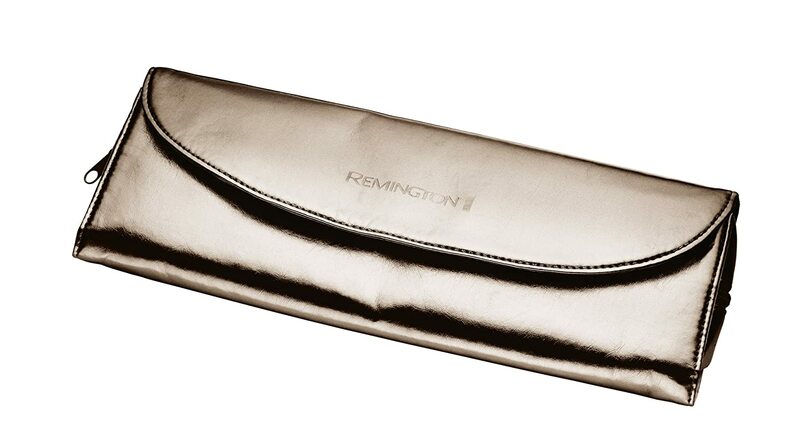 Although not quite as sleek as a similar GHD product, Remington has seriously produced an awesome hair straightener here and there’s not much I can fault them on. Snag-free and a straightness that’ll easily last until your next shower, for such a great price, I’m happy to recommend these to anyone. Remington has had a far more interesting history than one would think and not only started as a firearms company in 1816 but also played a key role in developing the QWERTY keyboard. The Remington personal care products section of the company didn’t appear until the late thirties but has thrived ever since despite changing hands several times. 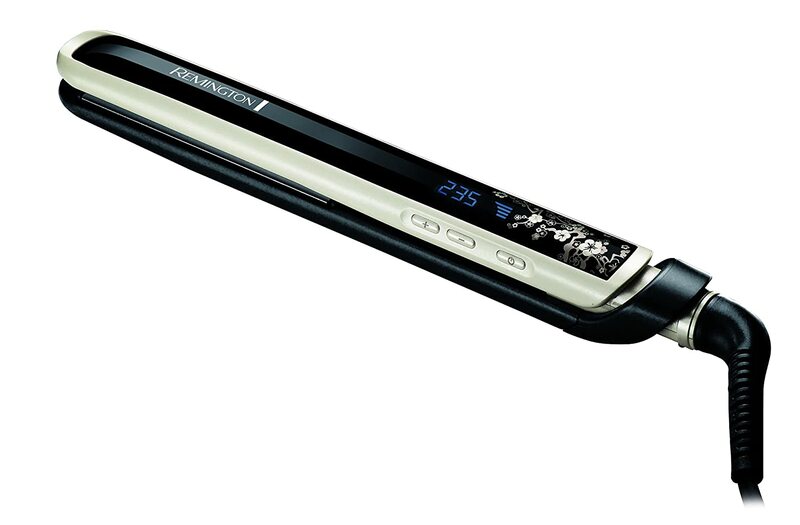 From cold, these straighteners heat up to over 200 degrees in ten seconds which is up there with GHDs. This means there’s no waiting around and they shut off automatically after an hour, which may put your mind at rest if you’re forgetful but is still quite a long time. When you first open these straighteners it’s immediately obvious that they’re not cheap or plasticky like some others in this price range. Instead, they have a nice weight and solidity to them, which is definitely encouraging. The design is sleek and sophisticated without being overly in-your-face feminine, a quality of a good design I think. 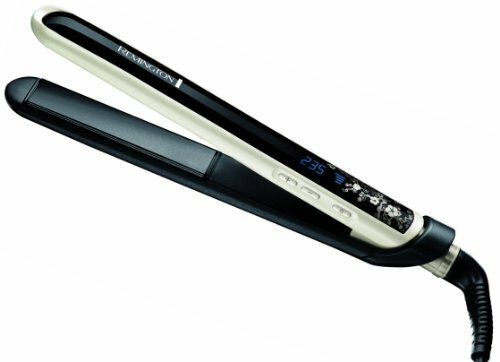 A key attribute to these straighteners is the very variable temperature settings. Instead of just having one or two choices, you are completely in control in 10 degree increments between 150 and 235 degrees. This makes it a product ideal for any type of hair, even those with hair that damages easily. I personally found that 200 degrees was my ideal setting, hot enough for poker-straightness but not so hot my hair gets damaged. Running these pearl and ceramic mixed plates through your hair is a completely smooth and snag-free experience that, let’s face it, is one of the most crucial points to cover. Some hair straighteners may take a while to be effective but it’s the ones that rip and catch that are unusable. 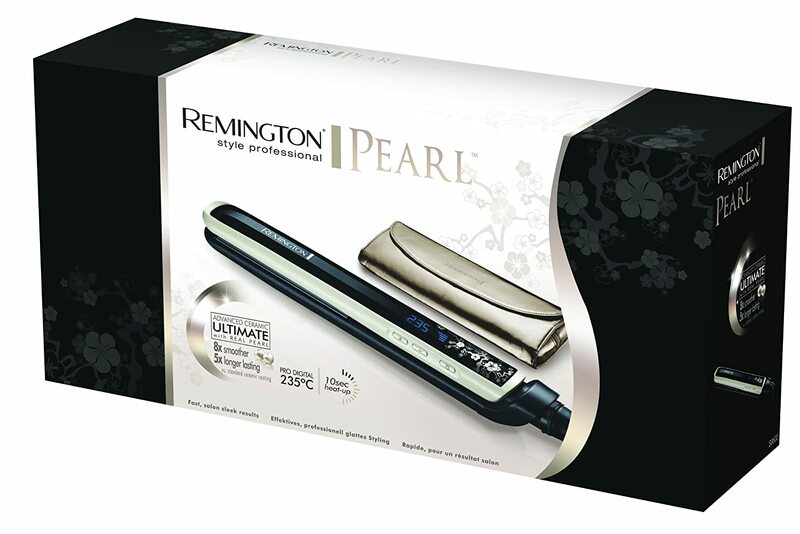 This Remington Pearl is snag-free and glides without any fuss, straightening quickly. Although it takes longer than GHDs to get that flawlessly straight look, the results last a seriously long time, even in humid conditions or if you tie your hair up for an hour or two. This means you can straighten your hair in the morning and don’t even need to touch it if you’re going out that night! Blissful. Less straightening means less heat damage too. The cord is three metres, which seems to be pretty standard among straighteners these days and this pair comes with a heat-proof mat and storage pouch. I think that a heat-proof mat is really important and such a simple addition to any heated product. This one folds neatly inside the pouch with the straighteners too so you can carry it with you on holiday or to a friend’s house.